We are really excited to be launching our craft tutorials which will appear on our Instagram stories and Facebook page. I always want to try and inspire people to get creative with nature and these tutorials are designed to be quick, cheap and creative. 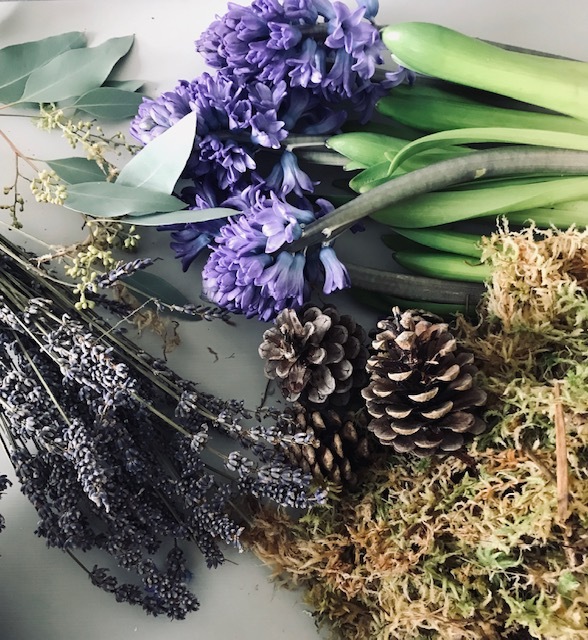 There is a perception that flower arranging is expensive, but these tutorials show you that all flowers and foliage can be found in your garden, at your green grocers or on walks. Each tutorial will give a step by step guide to create beautiful and simple floral displays for the home. They are designed to give you inspiration but to not be too technical. We will show you the mechanics behind arrangements, the flowers, foliages that we will use in the designs and then we will show a step by step guide to create the display. Our first tutorial is up now and guides you through the steps of creating a floral hanging basket. Our next one will be about how to create a natural inspired Christmas table. Newer PostHappy Christmas from Flourish Sussex Flower School!